Oak bed with upholstered base and tri-panel back, upholstered. 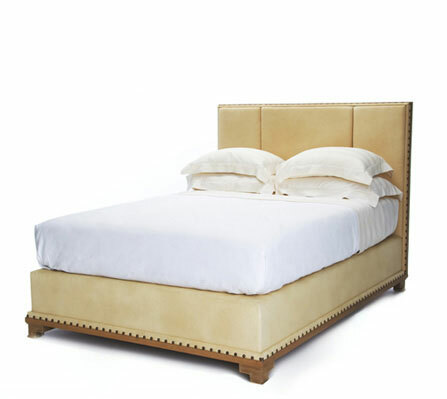 Box-spring with nailheads, braid or self trim on bottom edge and around outer edge of headboard. 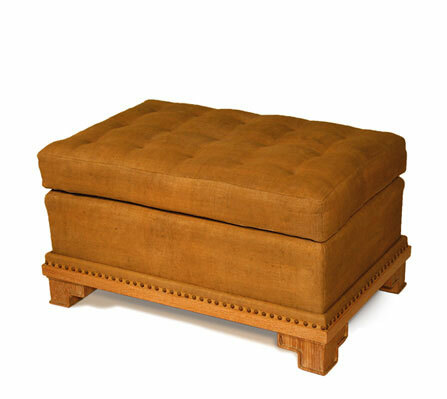 Oak bench with semi-attached signature hand-stitched tufted cushion and oak base with nail head trim or braid.